The second EPUB Summit, held in Brussels on March 9-10, was a successful occasion for the publishing industry to detail and showcase its latest technological developments. With more than 150 attendees from many countries, it has already become the major European rendez-vous for the Digital Publishing Industry. The event is organized by EDRLab to promote EPUB, the innovative publishing standard used all around the world by the Publishing Industry, a format which is in a good position to become the reference for every online and offline written publications, as demonstrated during the keynote presentation. Interoperability was the central thread of most talks: using EPUB as a publishing format guarantees access to the largest diversity of content, let readers freely choose where they want to buy their ebooks and provides them the best reading experience. From the twenty talks, round tables and workshops held during these two exciting days in the impressive auditorium of the Royal Library of Belgium, many important facts can be highlighted. After the IDPF / W3C combination – Following the recent combination of the IDPF (International Digital Publishing Forum) with the W3C (World Wide Web Consortium), work is now starting at the W3C on an evolution of the EPUB format, code name PWP, that will make it a first class citizen of the Web; in parallel the maintenance of the current version 3 of the EPUB format is guaranteed by the launch of an EPUB 3 Community Group open to all interested parties. Such maintenance of the EPUB 3 format is a must, since EPUB will be used for the long term preservation of digital publications. EPUB for Education – The EPUB 3 profile dedicated to the Education area, named EPUB for Education, was also part of the discussion. EPUB for Education suffers from a limited adoption, especially in Europe. 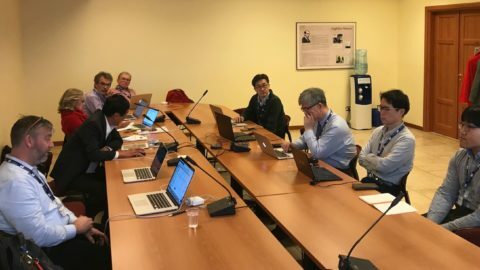 Several interesting proposals were made during the EPUB Summit, advocating a close collaboration between the W3C and a relaunched “EDUPUB Alliance” around a new profile based on EPUB 3.1. Software developments by the Readium community – The Readium community, which develops open-source software for the EPUB format, is actively maintaining the current ReadiumJS and Readium SDK codebase. Annotations will soon be added to ReadiumJS via the Hypothesis annotation extension, thanks to a partnership involving several companies. Readium has also started a new agile project called Readium-2, a new approach to the development of reading systems. Readium-2 software will allow access to EPUB and PWP publications on mobile and desktop devices and may be easily adapted to specific formats for audiobooks and comics. First public demonstration of DRM LCP (Licensed Content Protection) – the event was a perfect opportunity to describe and showcase Readium LCP , the vendor-neutral DRM technology developed by the Readium Foundation and EDRLab. This interoperable, user friendly and cost saving solution is strongly supported by major publishers, e-distributors, solution developers and e-lending libraries. Eden Livres, DeMarque, Dilicom, ePagine, TEA and DRM Inside from Korea successfully achieved the first public demonstration of the interoperability of the Readium LCP solution and its use for retail and library lending, using ebooks from major french and dutch publishers. 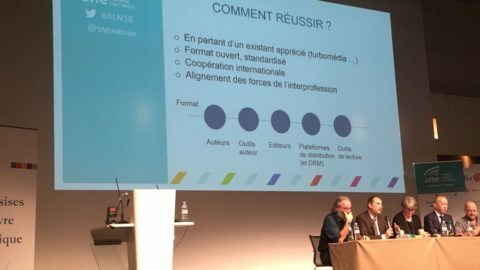 The public launch of Readium LCP in Belgium and France, as part of the e-lending solution called PNB (Prêt Numérique en Bibliothèque) should happen before summer. Its use in ebook retail will happen much sooner as DeMarque, ePagine, TEA, Mantano and others should have their software solutions soon certified for Readium LCP interoperability. 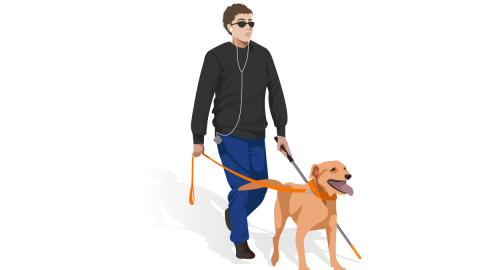 Focus on native accessibility – A round table dedicated to ebook accessibility for disabled and visually impaired people demonstrated that EPUB 3 is now ready to be used by publishers to produce “born accessible” black and white ebooks. As advocated by the DAISY Consortium, EPUB 3, which has standardized accessibility requirements, should become the only standard publishing format, shared by publishers and organizations dedicated to the adaptation of books for persons with “print disabilities”. 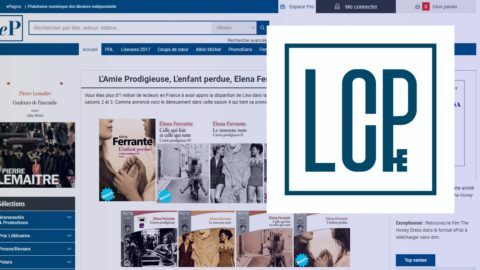 This movement is already visible in Italy, where EPUB 3 ebooks adapted by the Fondazione LIA are distributed as part of mainstream distribution channels. There are also innovations in the field of accessible devices: InsideVision, from France, demonstrated on stage a tactile Braille tablet, aiming at bridging the visible and invisible world gap. Ebooks innovations in Europe – The second day of the EPUB Summit started with talks about current European innovations in the field of publishing. Representatives from Germany, Netherland, Italy and France demonstrated that innovation is not only about content, but is also about distribution, commercial offers, data analysis and user interactions. Bokbasen, from Norway (and EDRLab member), presented the “explosion” of audiobooks on European market, with a transparency about their data which was deeply appreciated by the audience. EU and the Future of digital publishing – This panel was followed by a round table about the current political actions relative to the publishing field in Europe and the impact of the work done by the European Union (EU) on the future of the digital publishing industry. The representative of the DG CONNECT announced that new fundings will be available by 2018 for innovative projects in the field of publishing, with a focus on media convergence and social media. The representatives of both the Federation of European Publishers and European and International Booksellers Federation put forward that the promotion of interoperability as a commercial offer could be reinforced by a legal approach in the directive on the Contracts for the supply of digital content, in order to prevent the commercial strategies of some operators locking consumers in their own proprietary environments. They also advocated the work done by European publishers regarding accessibility for disabled people, stating that this work should be encouraged in the European Accessibility Act by acknowledging the evolutions achieved through international collaborative efforts. Moreover, when an accessible ebook is commercially available, they requested that such offer should be taken into account before using the benefit of the exception defined by the Marrakech Treaty, relative to the adaptation of books for the needs of disabled people. EPUB, not only for ebooks – The corporate use of EPUB, as a publishing format for documents that are not books, was also discussed by the Publications Office of the European Union and the OECD. A very interesting EPUB 3 report was presented by the OECD, which was made responsive by the addition of a flexible glossary, interactive tables and graphics optimized for small screens. This second EPUB Summit edition has confirmed that a vibrant international EPUB community is actively working, exploring and innovating. This community is perfecting the technological framework of the future e-books ecosystem. And with EPUB becoming “first class citizen of the web”, it will be more convenient for books and e-books to fully play their role, i.e. make people first class citizen of the world.